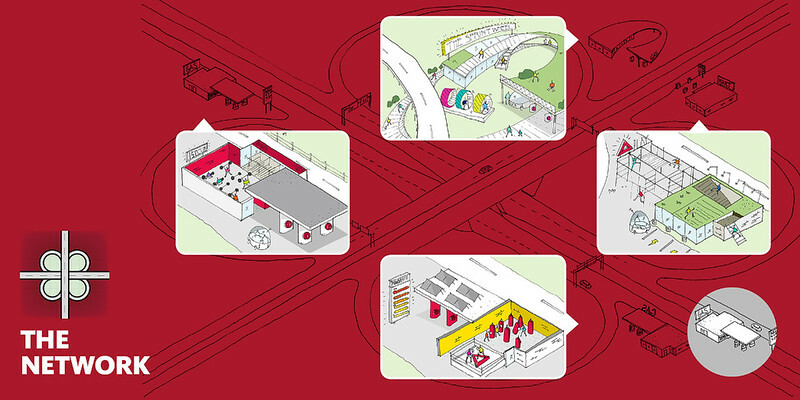 If electric vehicles are the future of transportation, can gas stations be re-imagined into centers promoting exercise and healthy eating? A century ago, the introduction of the automobile into the daily lives of Americans changed, well, everything. The world became smaller: you could get around faster than you ever had before, all thanks to four wheels, an engine, and some gasoline. Naturally, gas stations popped up on the corner of every community—even the smallest towns needed one, and they dotted the roads between those small towns, too. 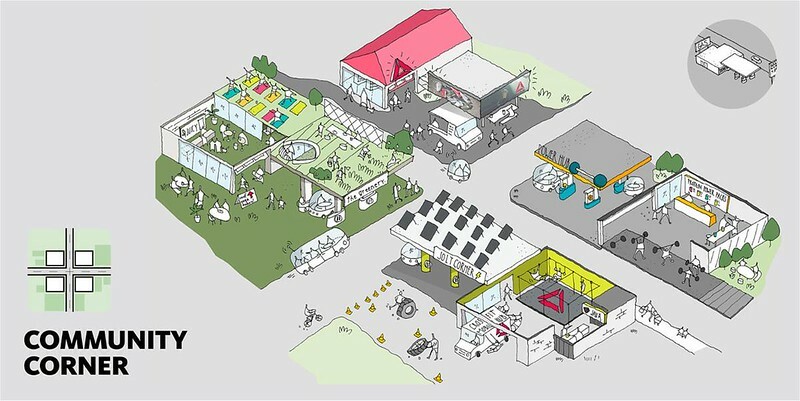 Reebok and global architecture and design firm Gensler have unveiled a concept called “Get Pumped”, focusing on the adaptive reuse of gas stations across the country as Fitness Hubs, where people can prioritize their mental and physical wellness, generate energy by exercising and refuel their bodies through food. The Oasis The larger gas station that commuters pass on small, local highways will be turned into recharge zones, to capitalize on the type of mental and physical rest those commuting need. There are real food offerings from a farm to table eatery to a juice bar, as well as yoga and meditation pods. The exterior will provide sustenance in the form of an herb garden, and outdoor wheels where you can run in the fresh air.